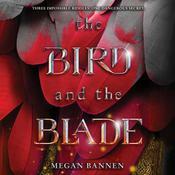 A sweeping and tragic debut novel perfect for fans of The Wrath and the Dawn and Megan Whalen Turner. 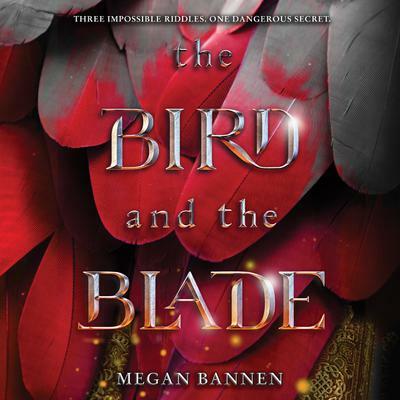 The Bird and the Blade is a lush, powerful story of life and death, battles and riddles, lies and secrets from author Megan Bannen. Enslaved in Kipchak Khanate, Jinghua has lost everything: her home, her family, her freedom . . . until the kingdom is conquered by enemy forces and she finds herself an unlikely conspirator in the escape of Prince Khalaf and his irascible father across the vast Mongol Empire. On the run, with adversaries on all sides and an endless journey ahead, Jinghua hatches a scheme to use the Kipchaks’ exile to return home, a plan that becomes increasingly fraught as her feelings for Khalaf evolve into an impossible love. Jinghua’s already dicey prospects take a downward turn when Khalaf seeks to restore his kingdom by forging a marriage alliance with Turandokht, the daughter of the Great Khan. As beautiful as she is cunning, Turandokht requires all potential suitors to solve three impossible riddles to win her hand—and if they fail, they die. Jinghua has kept her own counsel well, but with Khalaf’s kingdom—and his very life—on the line, she must reconcile the hard truth of her past with her love for a boy who has no idea what she’s capable of . . . even if it means losing him to the girl who’d sooner take his life than his heart.